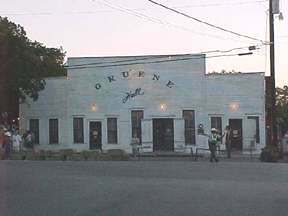 GRUENE, TX. / ANTIQUE SHOPPERS PARADISE! What a special town this is! 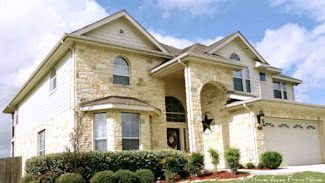 Located about 30 minutes from San Antonio, right on the banks of the Guadalupe River, it is a beautiful place to go spend a few hours and just shop, shop, shop! And have lunch! LOL Best barbecue ever! If you like history and antiques, this is the place to visit. All the buildings are authentic and each one of them has become a different specialty store. The town was founded by a family of German settlers back in the 1840's and when you drive into this little town, it is like stepping back in time. We had gorgeous weather over the weekend. Sunny and in the mid 70's and no humidity!, so we decided to venture up there for a Saturday morning outing. As you can see, not a cloud in the sky. One of our favorite antiques stores in Gruene. Two floors full of so many treasures. Couldn't take pictures of the inside, but look at all the "goodies" sitting right outside! 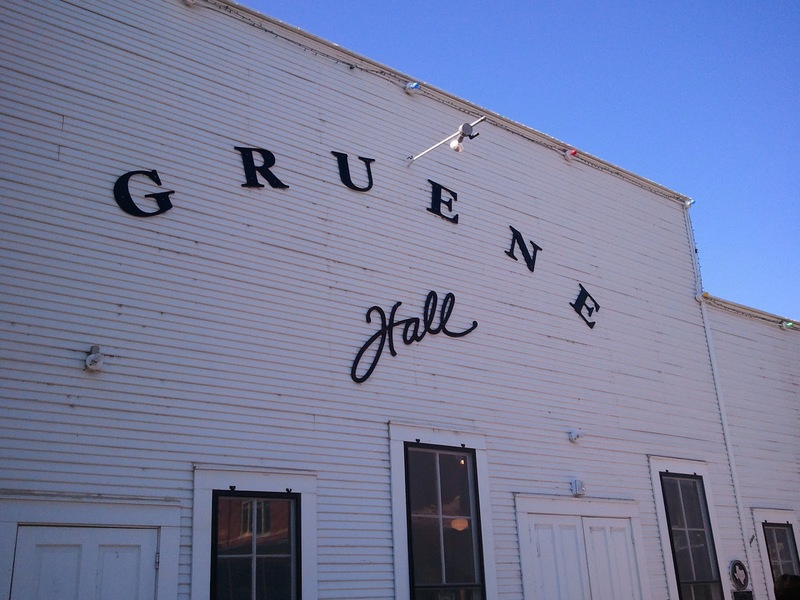 This is the original Victorian home of the Gruene's family, the founders of this town. This property is listed on the National Register of Historic places. Today, it has became a Bed & Breakfast, but they have managed to keep all the charm. Look at this original cellar on the side of the house. Only in Texas you can find flowers blooming at the end of October. You can even have your picture taken Western style. What is that in the back? Going around to take a look! 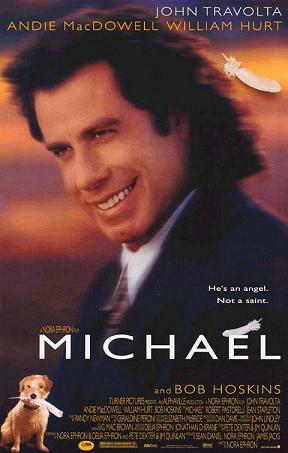 Gruene's Hall became a big tourist attraction back in the 90's, after the producers of the movie Michael, staring John Travolta, decided to film some of the scenes for their movie in Gruene. Here is the famous dance hall. 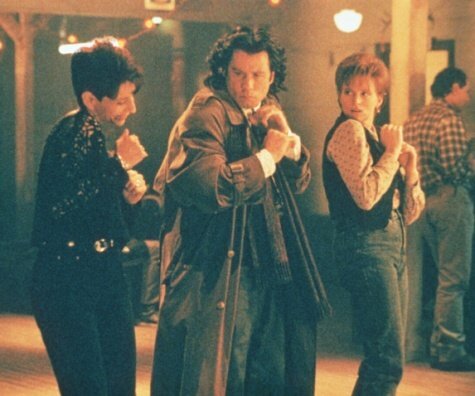 This scene was filmed inside the Gruene Hall back in 1996. Very cool! This has to be the most awesome antique store ever! It used to be the old mercantile building and you can still see inside the original bank vault. 6,500 square feet of antiques! Other great stores in town. A country store and handmade pottery. The General Store. It smells so good in there! Baked goods and fresh coffee. You just have to go in! And last, but not least, this store has the most beautiful antique furniture we have ever seen. Look at the size of the chimes hanging on the tree on front of the store. I wish you could hear the sound they made. So beautiful! Look at this washing machine! And the wood detail and glass on this door! The sales lady was nice enough to let me take a picture of this room. Have you ever seen something more adorable? We had a really fun day. Sorry for the length of this post. So much to share about this awesome place. I hope you liked the tour. Before I go any further, I have to tell you making these pillows was not my idea. Go check out her beautiful blog, she is so creative at everything she does. Browsing through her blog a couple of weeks ago, I came across these wonderful no sew stenciled pillows that she made, and I just fell in love with this project. I knew I had to give it a try! These pillows are made with canvas painter's drop cloth. Have I told you I love this material? I have used it in so many different projects around my home! Believe or not, I had just been thinking a few days before about making some pillows for my kitchen chairs, but just could not come up with a good idea. I am so glad she posted this project! Debbie, thank you so much for the inspiration post and for sharing this awesome project! Debbie told me that these pillows were featured in the Country Woman magazine, but, for the life of me, I can not find the article! I still have so much to learn about blogging! This was my inspiration photo from Debbie. I made four pillows, two green and two orange. Mine are not exactly the same as Debbie's, or as nice, but pretty close. Still learning! The stenciled letters is what sold me on trying my hand at doing this project. I found the stencil at Hobby Lobby. Two pillows done, two more to go. Finished product. This is what they look like on my kitchen table. Isn't this a cute idea? Thank you all for visiting and also for your beautiful blogs.